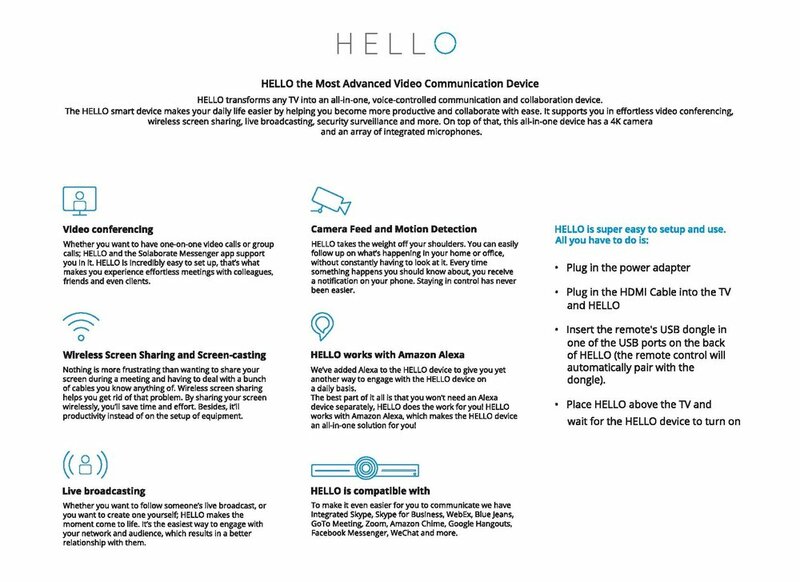 HELLO is an affordable voice-controlled smart-device for video conferencing, wireless screen sharing, live broadcasting and security surveillance with motion detection. HELLO allows people to interact with each other and is built for modern businesses, professionals, freelancers and more. How Many HELLO Devices Will You Need for Your Office? We will be in touch with you shortly to organise your Free Demonstration of HELLO.